It's been long enough now to digest how DFF40 fits in the festival landscape of this past season. Back in November thousands of people flocked to downtown Denver to 3 separate locations for DFF40. Out of the 12 day festival there were a multitude of now Oscar nominated films screened; Lady Bird, Three Billboards Outside Ebbing, Missouri and I,Tonya to name a few. Each being a centerpiece showcase and The Darkest Hour opening the entire festival on that November 1st night back in 2017. There were world premieres even for the Colorado Film Industry; Walden life in the Woods being one of them; with talks by Actor/Director Kyra Sedgwick and Molly’s Game Director/Writer Aaron Sorkin. There are a few takeaways to consider about DFF40 and what exactly happened surrounding this old staple. There was a huge emphasis on Women in Film, Colorado Grown material, and VR experiences. The Sie Film Center, The “annex” with United Artists Denver Theater, and Ellie Caulkins Opera House being the main pillars where movies were showcased. This shows that even back in early November Denver started the preamble during what has now turned into the industry changing #MeToo Time’s Up movement. Their inclusion of such films, both women written, directed, and lead films proves Denver’s active involvement in advancing the industry into a positive change. To even see a festival this size plan for such films is crucial and beneficial for a community that is still recovering and growing from the pains of mistakes in the past. And this is all equivalent and relevant to the industry no matter the timing or the place in this new landscape. It’s international attention also proves how Denver is not only looking inward but outward, many films being from or about minorities, their countries, and the stories they wish to tell. A huge slate of such films only shows the diverse audience that DFF40 wants to include; and did. Even their student showcases put heavy emphasis on having a separate one for the Homegrown talent with CU Student Shorts, and for the rest of the student shorts world they gave them four spots. DFF40 wanted a diverse landscape and they definitely gave it as well with the additive of VR and Live Performance Art that truly meshed the realm of projection and narrative. The downfall of DFF40 fell to the timing and scheduling conflicts surrounding showings and centerpiece attractions. SCAD’s annual Savannah Film Fest fell on the same weekend and drew more national attention due to past involvement, leaving DFF40 slightly dry and thin on the movie availability. One issue was that during the closing days the showcase venue of Ellie Caulkins had multiple shows happening, at high cost. Yes, the event center is also the opera house and the red carpet had been rolled out yet, the obvious front runner for the oscars Three Billboards Outside Ebbing, Missouri showcased in the middle of the day before I, Tonya. Audiences had to make a choice, see local or far. More independent films and try to book it to the Ellie for a showcase, or only see one. Personally I made the decision for I, Tonya and a day at the VR heavy Annex. But here is the thing, each festival has downfalls, too many movies too little time, they are usually spread over a large space and few showings. But it is the interaction of the community that really shows how an industry is doing. Colorado and DFF show they want each other and they care about how each is doing, Denver Film Society proves these concepts. Yes, being nearly half an hour apart is tough, unlike cities that are smaller or have a more dedicated space, Denver is spread across a huge swath of land. The Sie is almost thirty minutes from Ellie and at least a ten to fifteen minute walk from the Annex and United Artists Theater Downtown Denver. Yet, these things point to a large and vibrant community that as stated is beginning the every flowing inclusion of minorities and women into the festival. The large metropolis area shows that access to the industry is there, its affordable, DFF and the Denver Film Society is there. Telluride and others are far off industry exclusives never actually being there for the average film enthusiast. Denver Film Festival is shadowed and buffered by Telluride and Sundance, even TIFF gets in the way. It’s time for DFF to shine its’ light, 40 years of community and 40 years of film have proven that it is time for Denver to become a staple. The industry is growing and heaving at its’ boundaries here in Denver; attendance proves it. As a corridor of commerce it only brings the necessary news that DFF40 is only the beginning of a further growing industry 5,280 feet above sea level. 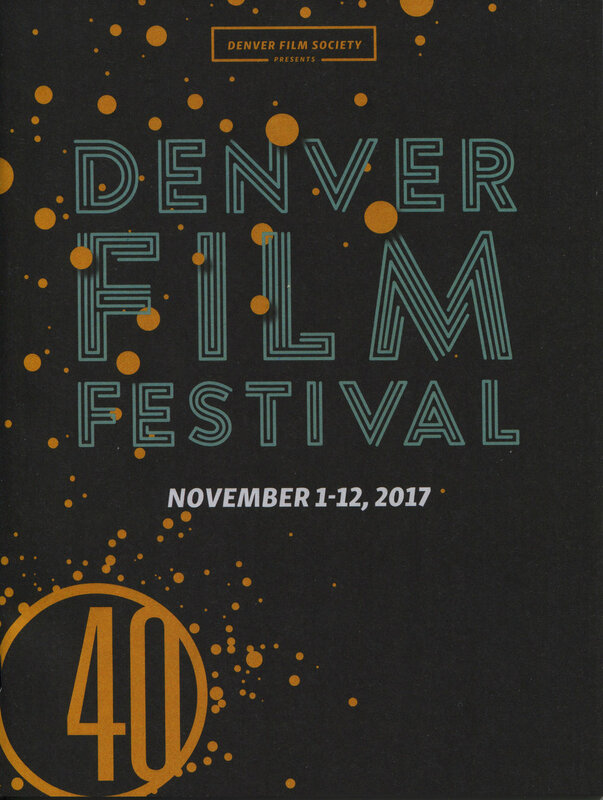 Denver Film Festival 40 ran fro November 1, 2017- November 12, 2017. Films seen were Story of A Girl, Tragedy Girls, Hegazussa - A Heathen’s Curse, Walden: Life in the Woods, Let the Corpses Tan, Molly’s Game, and I, Tonya. The Denver Film Festival is put on by the Denver Film Society.